Since it began in 1893, Birmingham Citadel Band has built a reputation for engaging with those who hear its Christian message. Today, the Band’s presentation is enhanced by the use of multimedia in its concerts and worship services. The band is made up of Christian men and women of all ages including teachers, accountants and students. The band visits local hospitals, nursing homes and plays outside the Bull Ring shopping centre in Birmingham most weeks during the summer months. 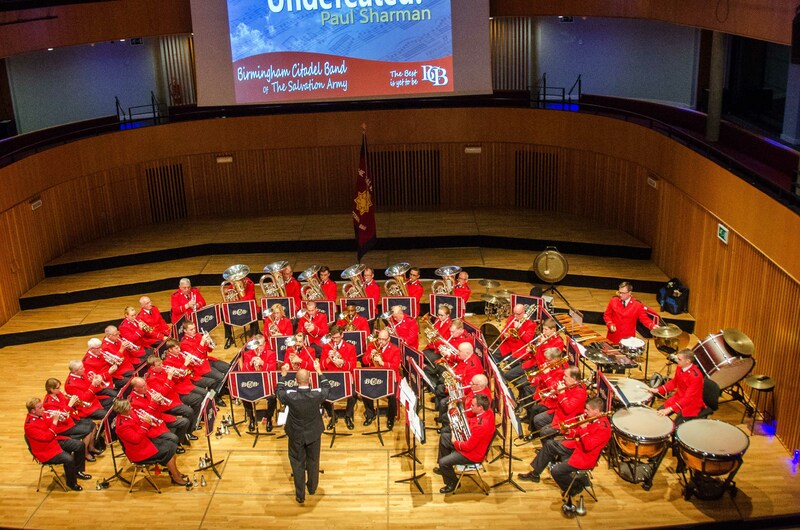 The Band has undertaken international tours to the USA ,Canada, Scandinavia, Holland and Switzerland and also carries out regular mission weekends across the UK. Throughout December, Birmingham Citadel Band plays carols to Christmas shoppers in and around Birmingham, giving them an opportunity to share the good news of Christmas with the community. The current Bandmaster is Gavin R Lamplough who has been in post since June 2011 and is a member of the International Staff Band, the Army’s premier band. He is assisted by Deputy Bandmaster Mark Sharman. Read here all about the Band’s most recent International tour to Switzerland in May 2016.